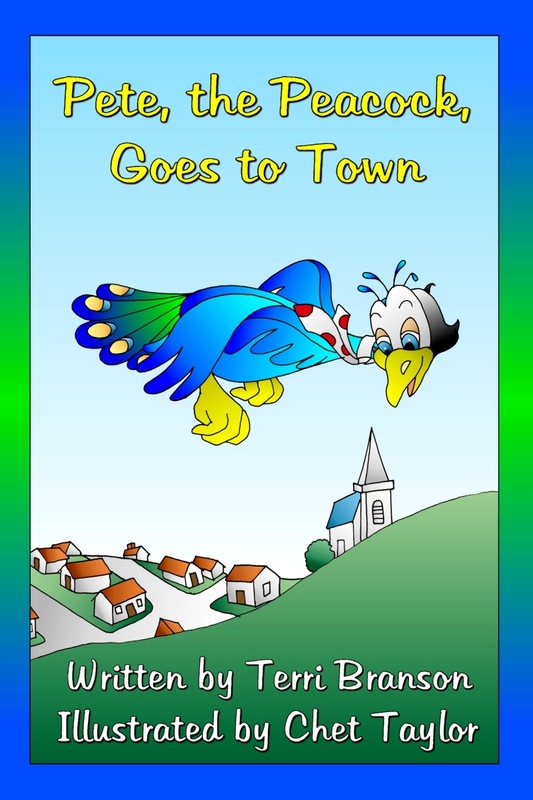 Pete the Peacock flies away from the farm one afternoon and straight into trouble in a nearby town. When he perches atop a local church to listen to the singing, his peacock “calls” wreak havoc on the afternoon choir practice. COLOR EBOOK [EAN 978-1-936381-89-0 | ISBN 1-936381-89-3] Available in EPUB and Kindle MOBI (color) | Average Price: $3.99 || Color eBook at Amazon Kindle | Color eBook at Amazon Kindle UK | Color eBook at Barnes & Noble | Color eBook at Smashwords || Find EPUBs at Apple, Barnes & Noble, Blio, Kobo Books, Open Library, Overdrive, Scribd, Smashwords, and more. Find Kindle editions at Amazon and Smashwords.